Paramount Creative always do a fantastic job and I have attended a couple of their events in the past including the Scottish Italian Awards, but the Confetti Awards 2019 has definitely been my favourite event to date. The evening started at 6.15pm at The Double Tree by Hilton with a drinks reception and live music from Sax player Trav Saxingh. 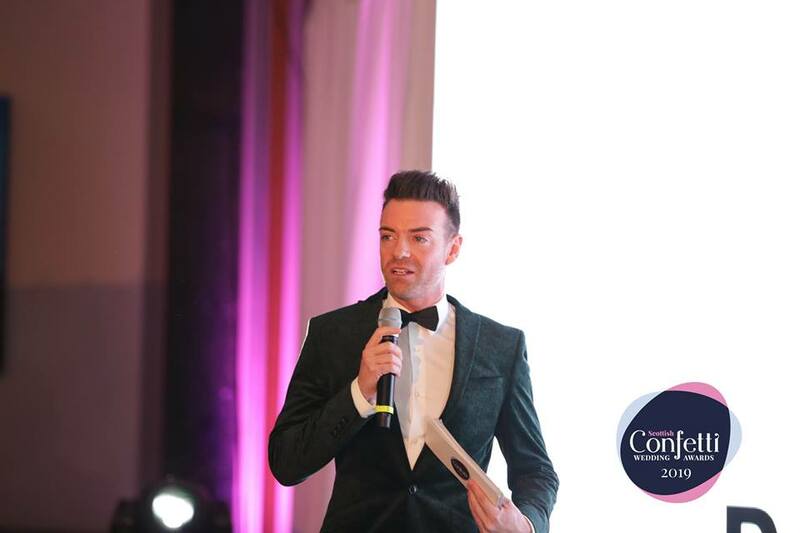 Guests and nominees names were listed on a Disney themed table plan and we were all welcomed into the room at 7pm by Capital Radio’s Des Clarke the Confetti Awards host to kick start the night. 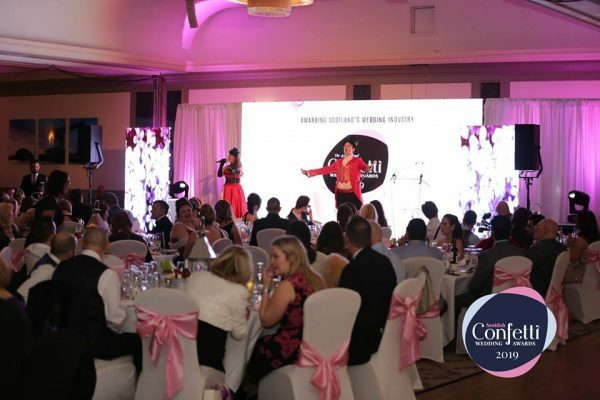 Guests were further entertained by F3 Entertainments with some Disney classics, before the first half of awards were presented. 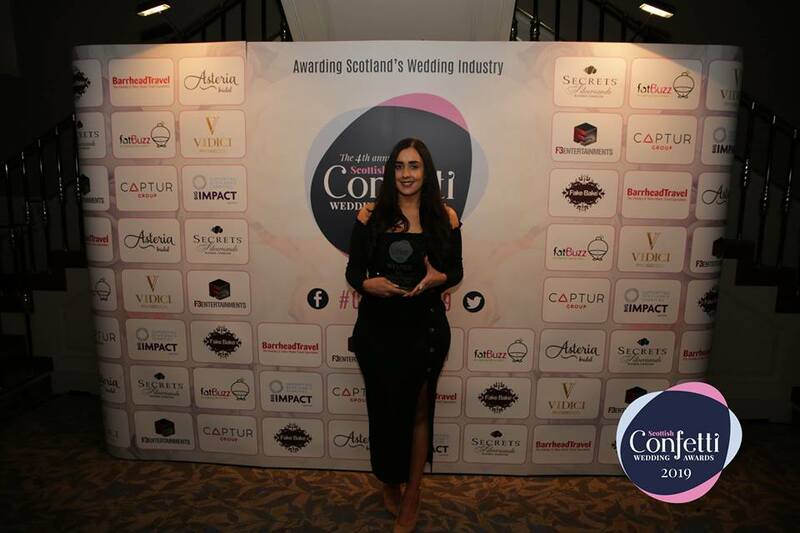 The first award of the evening went to Stacey McLeod of SM Photography who won the Best Photographer award. The second award of the night was for Best Wedding Blogger / Influencer 2019 which I was awarded with! 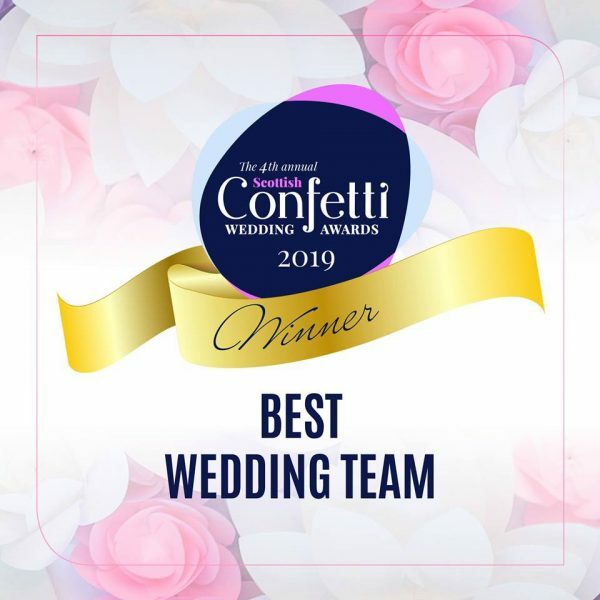 I was completely over the moon to have received this award as this was the first time the Confetti Awards had introduced the category. My award was presented to me by The Everyday Man blogger John, who has been blogging since 2012 and it was great to catch up with him about his experiences after seven years of blogging. In March 2018 I took the plunge and after much encouragement from my team at Òran Mór I started my own wedding blog. I was stepping completely out of my comfort zone, and as the direction of the blog was intended from a wedding coordinators point of view of working with my bride and grooms, I was completely putting my opinions and experiences out for judgement. Luckily the feedback and the response from the blog has been fantastic and I have thoroughly enjoyed the last year blogging! 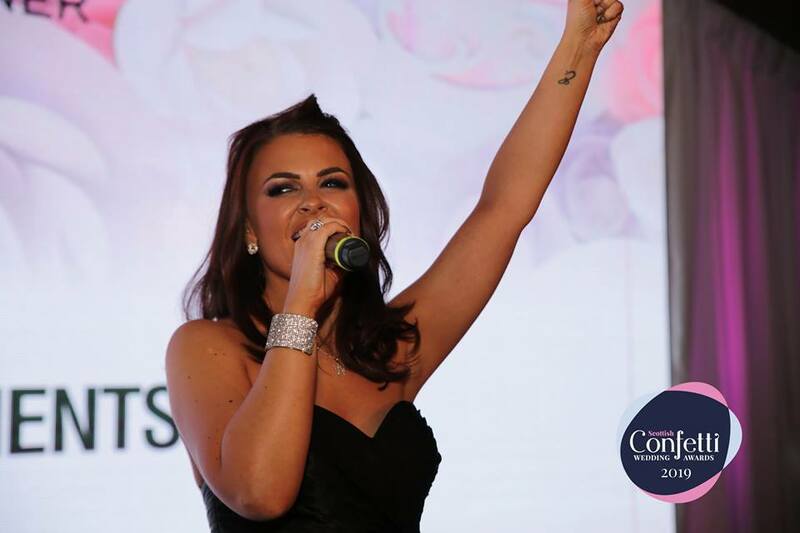 To win an award for something that you love doing is the best feeling ever. 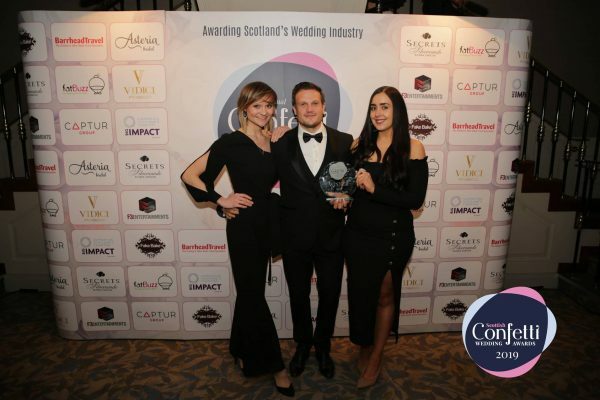 More awards were presented to Best Venue Accessory and Decor Specialist Winner: Ivory Tower Weddings & Events and Best Cake Design Winner: Marie-Clare Cake Design. Just before the first course of dinner was served the winner of Best Wedding Team was announced and I am delighted to say that the team at Òran Mór took the winning spot! 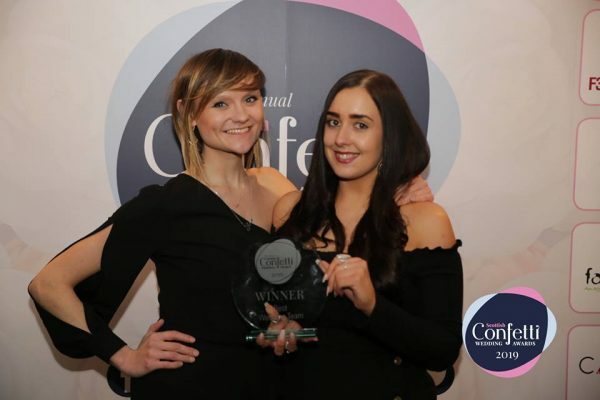 Myself and banqueting manager Gosia went up to receive this award and as we were still in shock from our first win of the evening, we couldn’t believe our ears when our name was called again. We had the pleasure of sitting with the lovely ladies from Opus Couture and it was great to end the evening with another win at our table. Although taking home two awards on the evening is a fantastic achievement, my favourite part of the night was meeting Say Yes to The Dress star – and of course the designer of Princess Diana’s wedding dress – David Emanuel. David was extremely friendly and kindly congratulated me, acknowledging both awards. The evening concluded with further entertainment and a night of dancing before carriages at 1am. 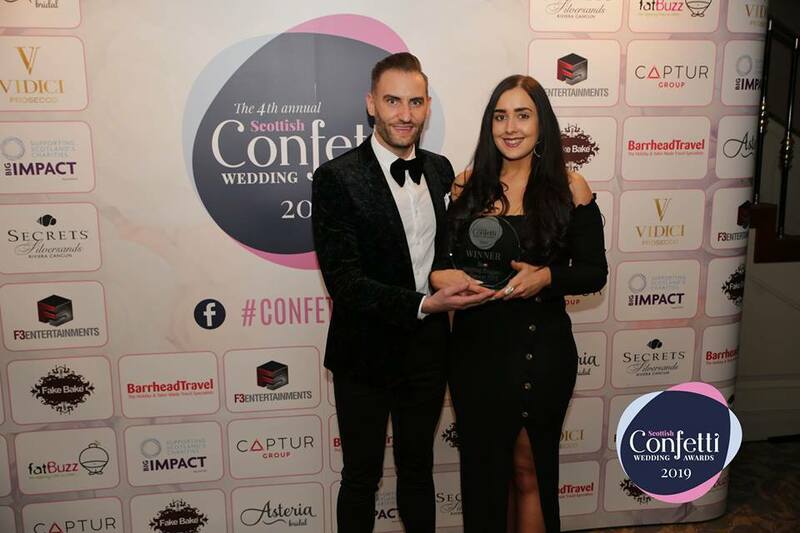 Thank you to all of my wonderful brides and grooms for allowing me to blog their wedding stories, also a huge thank you to Nicola Watson who helps me each and every week publishing my blog on our website and finally to the whole team at Òran Mór for your constant help and support. 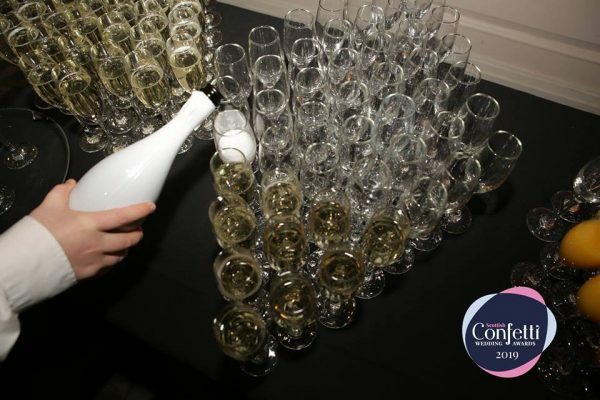 The Confetti Awards 2019 was an exceptional night all round and I hope to be nominated again next year and attend another exceptional event from the team at Paramount Creative.